The Open University (OU) was represented in the meeting by John Domingue, Allan Third and Alexander Mikroyannidis. The OU team will play a key role in the project, leading a core work package and several tasks. 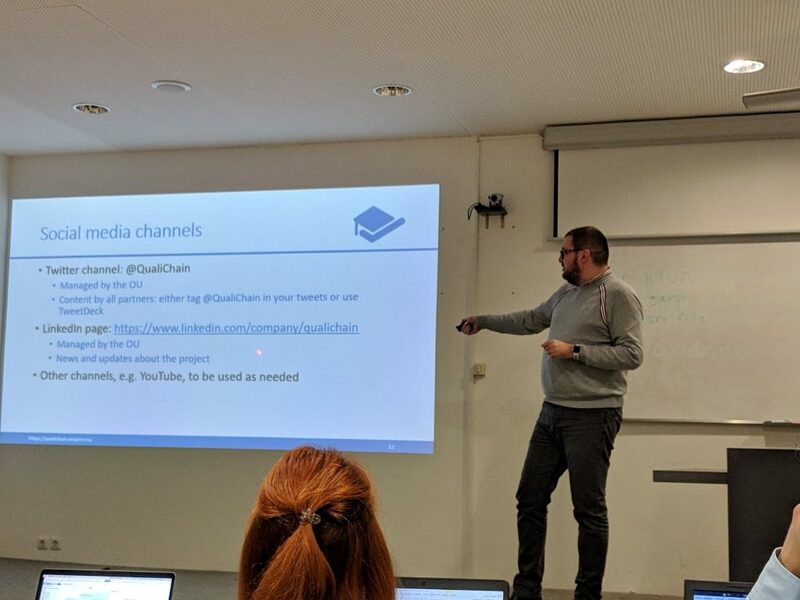 The OU team will build upon its expertise from the Open Blockchain initiative to conduct a Landscape Analysis, implement Blockchain technology for storing and sharing education credentials and qualifications, integrate Semantic Blockchains in Ethereum, as well as conduct a pilot for verifying academic qualifications across institutions. OU is also in charge of shaping the overall dissemination strategy of the project.